Radio signals from deep space: Are we being hailed by intelligent beings? Home » other » Radio signals from deep space: Are we being hailed by intelligent beings? 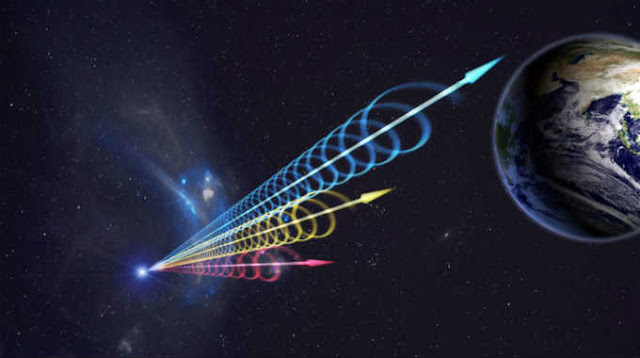 A total of 17 such radio signals — called fast radio bursts (FRBs) — have been received from this location in space since their discovery in 2007. What’s also special about these FRBs is that even though they exist for such small duration, they tend to generate so much energy that it could parallel the amount of energy generated by the Sun for a whole day! It is this aspect of the signals — as well as the fact that now a total of 17 such signals have been detected so far from the same region in deep space well beyond our galaxy — that is leading to speculation that there may be a sufficiently advanced extraterrestrial civilization behind them. The technological expertise of civilizations is often determined by the Kardashev scale, named after the Russian scientist who proposed it in 1964. It proposes that there are three kinds of civilizations across the universe: Type I, which utilizes only that much energy which reaches it from its nearest star; Type II, which has harnessed entire energy of its nearest star for use across various planets; and Type III, which has harnessed the energy of stars across its entire galaxy. Given the nature of the newly-received FRBs — specifically their energy — it is being speculated that if their source is artificial, they could have been sent by at least a Type-II extraterrestrial civilization as a means to reach out to other, similarly intelligent civilizations. That is because the amount of energy in these FRBs cannot be produced by any conventional means known to man, but could be emitted by an artificial source from a civilization that has harnessed the power of an entire star.